The ratcheting tube wrenches in this 5 piece set are ideal for use on hard to reach or restricted access fasteners where a traditional wrench or ratchet cannot reach. The spring-loaded jaw allows it to be opened and placed over fittings. Made in USA and backed by Gray Tools worry-free lifetime warranty. Contains Sizes: 3/8", 7/16", 1/2", 9/16"and 5/8". Spring-loaded jaw allows it to be opened and placed over fittings. The box end wrenches in this 6 piece set are precision broached at the 12 PT box end and deliver maximum torque without rounding or deforming fasteners. 15 offset head offers greater access to fasteners in confined spaces. Made in Canada and backed by Gray Tools hassle worry-free lifetime warranty. 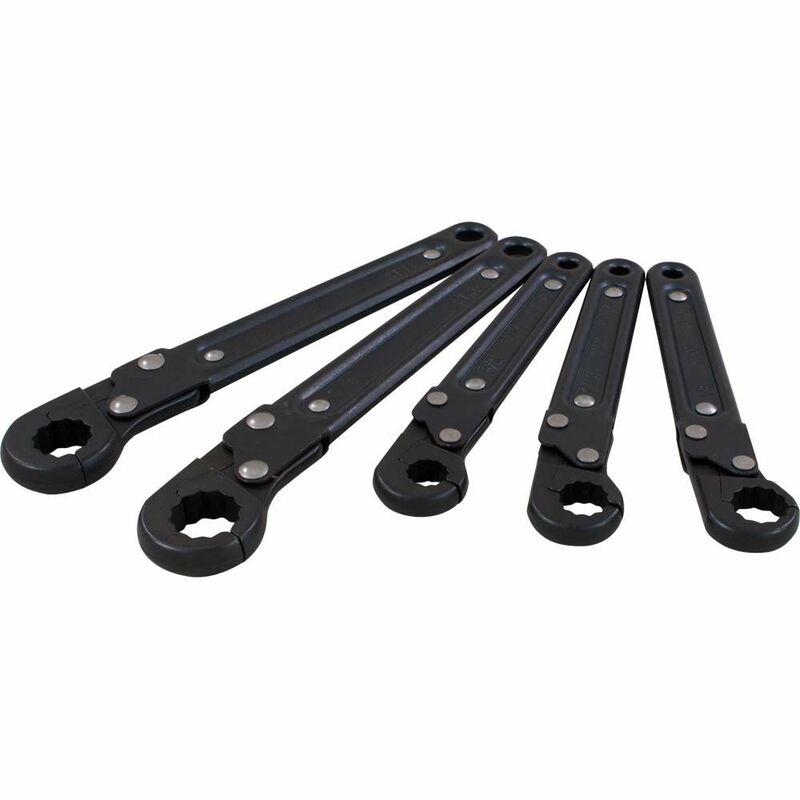 5 Piece Sae Ratcheting Tube Wrench Set The ratcheting tube wrenches in this 5 piece set are ideal for use on hard to reach or restricted access fasteners where a traditional wrench or ratchet cannot reach. The spring-loaded jaw allows it to be opened and placed over fittings. Made in USA and backed by Gray Tools worry-free lifetime warranty.